In the case of collection will be through the mail to make an appointment. In the event that in addition to these terms and conditions specific product or service conditions apply, the second and third paragraphs shall apply and the consumer in case of conflicting terms always rely on the applicable provision that is most favorable to him is. The offer includes a complete and accurate description of the products and / or services. The description is sufficiently detailed to allow. Proper assessment of the offer by the consumer If the contractor uses these images are a true representation of the products and / or services. Obvious mistakes or errors in the offer does not bind the entrepreneur. If the consumer has accepted the offer electronically, the trader will immediately confirm electronic receipt of acceptance of the offer. Until receipt of this acceptance has not been confirmed, the consumer may rescind the contract. The consumer may terminate an agreement regarding the purchase of a product for a cooling off period of 14 days without giving reasons. The operator may ask the consumer to the reason for withdrawal, but not commit to stating his reason (s). as consumers in the same order has ordered several products: the day on which the consumer or a third party designated by him, has received the final product. The operator may, provided that he has clearly informed, from the consumer prior to the ordering process on refuse an order for multiple products with different delivery. in contracts for regular delivery of goods during a certain period, the day on which the consumer or a third party designated by him, has received the first product. The consumer has a service contract and a contract for the supply of digital content which is not supplied for at least 14 days without giving any reason terminate. On a tangible medium The operator may ask the consumer to the reason for withdrawal, but not commit to stating his reason (s). The cooling-off period referred to in paragraph 3 shall begin on the day following the conclusion of the agreement. If the Consumer does not provide the mandatory information on the right of withdrawal and the model withdrawal form the reflection expire twelve months after the end of the original, in accordance with the preceding paragraphs of this Article shall reflection. If the entrepreneur has provided within twelve months after the effective date of the initial grace period, the information referred to in the preceding paragraph to the consumer passes the cooling 14 days after the day on which the consumer receives that information. During this period the consumer will treat the product and packaging. He will only extract the product, or use to the extent that is necessary in order to determine. The nature, characteristics, and the operation of the product The starting point is that the consumer may only handle and inspect the product as he would be allowed to do in a shop. If the consumer exercises his right of withdrawal, he shall report this within the cooling-off period by means of the model withdrawal form or any other unequivocal manner to the entrepreneur. As soon as possible, but within 14 days from the day following the notification referred to in paragraph 1, the consumer shall send back the product, whether he hands it to (a representative of) the entrepreneur. This does not work if the trader has offered to collect the product yourself. Off The consumer has the return postage period observed in any case as to return the product before the period has expired. The consumer shall send back the product with all accessories, if reasonably possible, in original condition and packaging, and in accordance with the reasonable and clear instructions provided by the business owner. If the consumer withdraws after first explicitly requested that the provision of the service or supply of gas, water or electricity, they are not put up for sale in a limited volume or certain quantity starts during the cooling-off period, the consumer, the entrepreneur amount payable in proportion to that part of the obligation that is fulfilled at the time of withdrawal, compared to the complete fulfillment of the commitment by the entrepreneur. If the consumer exercises his right of withdrawal, any ancillary contracts shall be automatically terminated. If the trader makes possible the notification of withdrawal by the consumer in electronic form, it sends this message immediately after receiving an acknowledgment. The trader shall reimburse any payment from the consumer, including any delivery costs charged by the operator for the returned product without delay but within 14 days following the day on which the consumer reports it the withdrawal. Unless offering the entrepreneur to get the product itself off, he should wait until he has received to repay the product or the consumer can demonstrate that he has returned to the product, whichever is earlier. The entrepreneur used to repay the same currency that the consumer, unless the consumer agrees to a different method. The repayment is free for the consumer. The trader guarantees that the products and / or services meet the contract specifications stated in the offer, the reasonable requirements of reliability and / or usability and and on the date of the conclusion of the agreement existing legal provisions / or government regulations. An arrangement offered by the trader, manufacturer or importer as a guarantee does not affect the rights and claims that consumers entrepreneur can assert on the basis of the law and / in respect of a failure to fulfill the obligations of the employer against or the distance contract. Subject to what is stated in Article 4 of these terms and conditions the company will implement accepted orders expeditiously but not later than 30 days unless a longer period has been agreed. If the delivery is delayed, or if an order can not be carried out only partially, the consumer receives them no later than one month after placing the order. The consumer in this case the right to terminate the contract without penalty and be entitled to any compensation. If delivery of an ordered product proves impossible, the trader will endeavor to provide a replacement item available. Before the delivery will be notified that a replacement item is delivered. Clear and comprehensible manner For replacement items may right of withdrawal can not be excluded. The cost of return shipment are borne by the entrepreneur. The risk of damage and / or loss of products rests upon the trader up to the moment of delivery to the consumer or a pre-designated and the entrepreneur announced representative, unless otherwise expressly agreed. The consumer may contract for an indefinite period, which extends to the regular delivery of products (including electricity) or services, at any time denounce in compliance with the applicable termination rules and a notice of one month. The consumer may contract concluded for a definite period, which extends to the regular delivery of products (including electricity) or services, at any time at the end of the fixed term denounce the applicable termination rules and a notice of exceeding one month. A contract concluded for a definite period, which extends to the regular delivery of products (including electricity) or services should not be tacitly renewed or extended for a specified period. Notwithstanding the preceding paragraph, an agreement was concluded for a definite period, which extends to the regular delivery of daily news and weekly newspapers and magazines may be extended for a specific period of three months, if the consumer extended by tacit agreement the end of the extension may terminate with notice of one month. A contract for a definite period, which extends to the regular delivery of goods or services may only be extended if the consumer may terminate with notice of one month. Always tacitly indefinitely The notice period is more than three months in case the agreement extends to the regular, but less than once a month, delivering daily news and weekly newspapers and magazines. An agreement with a limited duration of the regular delivery of daily news and weekly newspapers and magazines (trial or introductory subscription) is not tacitly continued ends automatically after the trial or introductory. Unless otherwise agreed, the amounts owed by the consumer must be paid within fourteen days after delivery of the goods or in the case of a contract to provide a service, within 14 days after issuance of the documents relating to this. When selling products to consumers are stipulated. In terms never a prepayment of more than 50% If payment is agreed, the consumer may not assert any rights regarding the execution of the order or service (s) before the advance payment has been made. The Buyer acknowledges that all intellectual property rights in the information, communications or other expressions concerning the products and / or with respect to the web site at Bird Product Catalog, its suppliers or other claimants. Article 19 Applicable law and jurisdiction. All offers of Bird Product Catalog, its agreements and their implementation are subject to Dutch law. The applicability of the Vienna Sales Convention is expressly excluded. Site Bird Product Catalog may contain third party advertisements or links to other sites. 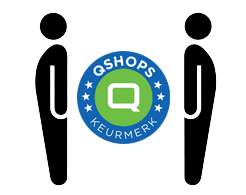 In the privacy policies of these third party sites Vogel Webshop Item no influence and is therefore not liable. You can always ask what information about you will be processed. Vogel Product Catalog To do this, please send an e-mail. You can also e-mail questions to bring that Bird Product Catalog will process. Earliest possible improvements, additions or other corrections Bird Product Catalog If you no longer wish to receive information please Bird Product Catalog set thereof. Transmission of information occurs only if you receive your e-mail address.